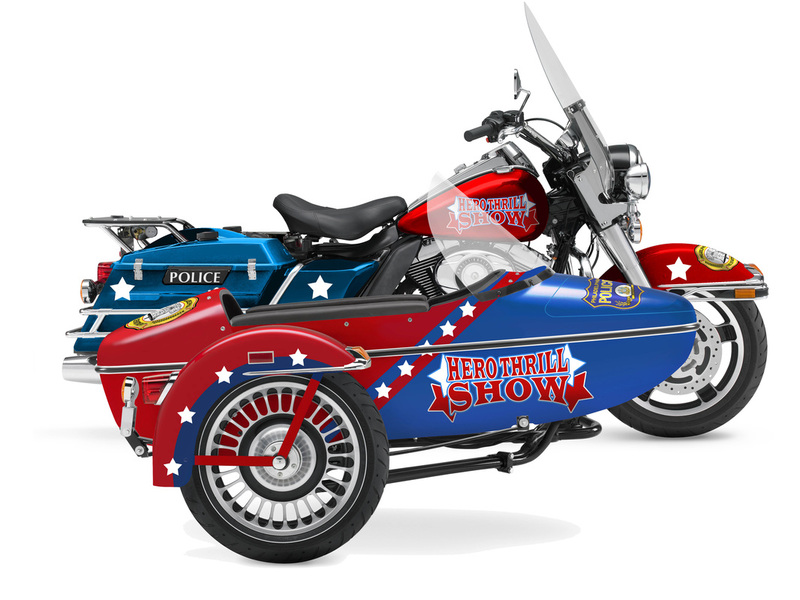 ™FOP supports the Hero Thrill Show®, Inc, NOT the Hero Scholarship Fund. Police widows support the Hero Thrill Show®, Inc. 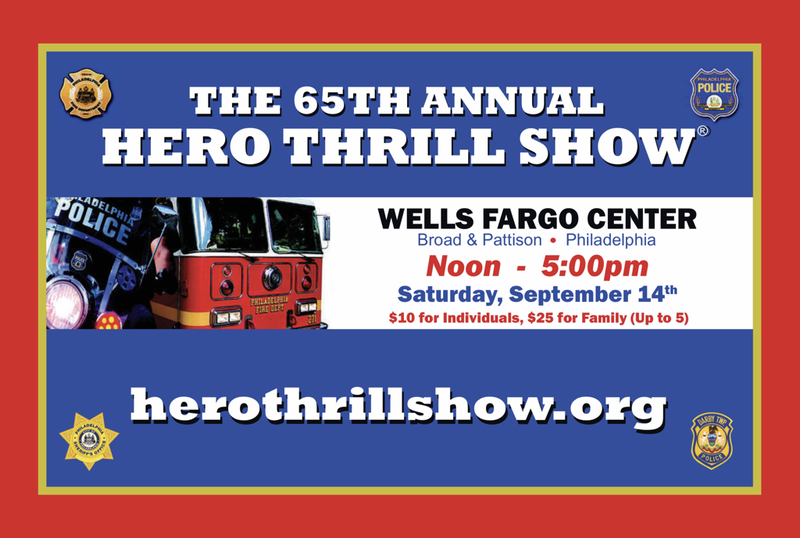 The 64th Annual Hero Thrill Show® will be held at the Wells Fargo Center on September 22, 2018. The Hero Thrill Show® Kick-Off Press Conference will be held on September 12, 2018 in front of 1818 Market Street, Philadelphia, PA. There will be a performance in the middle of Market Street by the Highway Patrol Motorcycle Drill Team as they gear up for the 2018 Hero Thrill Show! There will be a special appearance by the Mounted Police, K9 Unit, SWAT Unit, Bomb Squad, Home Land Security and loads of Fire Department Apparatus. Kenny Gamble, Co-Founder, The Sound of Philadelphia will be the 2018 Grand Marshall. The Hero Thrill Show® is NOT affiliated with the Hero Scholarship Fund.